Today was the first day of the 2010-2011 Network TV Upfront presentations, and NBC was first out the gate to announce their new fall schedule. Last year, I posted videos and shared my initial thoughts on the new crop of shows, but to be honest next year's NBC shows look weak with a few exceptions. Rather than waste time wading through the preview clips, I'll just direct people to Hulu's NBC Fall Preview page or thefutoncritic.com's NBC video gallery. The few highlights that stand out to me include new comedy Outsourced, J.J. Abram's Undercovers. Since it looks like FOX passed up on Breakout Kings, that leaves NBC's Chase as the lone U.S. Marshall show on the fall schedule, so I might check it out depending on whether Castle comes back to Monday nights or not. Outsourced, based on the 2006 feature film, looks like it will be next year's Community meaning it will be a nice addition to the Thursday night comedy block, but it might take some time to build an audience. I was a little surprised that NBC decided to bench Parks and Recreation until mid-season, moved 30 Rock to 8:30 PM, and gave Outsourced the plumb post-The Office spot. I'm guessing NBC wants Outsourced and Community to be the new anchors for the comedy block once the other shows fizzle out. Undercovers has gained the status as the must-see show of the new season because of its mix of action, comedy, and drama. From what I've read it's a combination of Alias, Hart to Hart, and Mr. and Mrs. Smith. The preview clips seem to sum up the show perfectly, and it looks like it's going to be the show to beat, especially considering it's going to be on the less competitive Wednesday nights. Many thought that Undercovers would go hand in hand with Chuck, so I'm sure some were surprised it wasn't placed on Mondays or Chuck wasn't moved to Wednesdays. In the end, the two may have been too similar, so splitting them up probably made the most sense. Plus, Chuck gets one more shot to prove itself in the Monday Night Thunderdome. 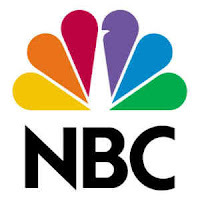 Other Thoughts: The rest of the NBC newbies are extremely lackluster, and even though the Peacock is trying to reboot itself, there are too few breakout hits. Sure, it's hard to make a judgment based on two-minute clips, but most of those clips were uninteresting or unfunny (especially Perfect Couples and Friends with Benefits). The Cape and The Event could fill the mythology heavy/serialized void left by Heroes, and we're getting more procedurals thanks to Law & Order: Los Angeles, Harry's Law, and Outlaw. Pretty ho-hum stuff. Even though most of the new NBC shows don't interest me, it looks like I will be upping my viewing of the channel thanks to Outsourced, Undercovers, Chuck, and Community. It'll be interesting to see how the rest of the networks respond this week.